Shiva One of the most Badass Hindu GOD, also referred to by names like Rudra, Mahadev, Trayambak, Natraja, Shankar, Mahesh, etc. is considered the personification of the Masculine element of the universe. In the holy trinity of Hinduism, he is considered the ‘destroyer’ of cosmos. Such is the scale of his wrath, that he had cut off, one of the heads of Brahma, who is a major god and also happens to be part of the trinity. Hindu mythology is loaded with his exploits. The nature and character of Shiva is marked with simplicity, yet there are unpredictable, contradictory and complex philosophical traits in his personality. He is considered the greatest dancer and musician, yet he prefers to stay away from the pomp of the heavens. Shiva is a hermit, lives a secluded life and enjoys the company of heinous and outcast creatures like Pisachas (vampires) and Preta (Ghost). He dresses himself with tiger hide and sprays human ash all over himself. 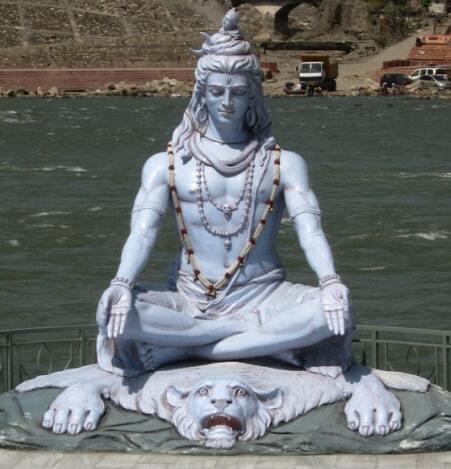 Shiva loves intoxication (opium, cannabis, and hash are openly offered to him in hindu temples to this day! )however, he is known for being kindhearted, selfless and a maintainer of cosmic balance. Not only did he slay demons and egotist demi-gods, he has beaten the hell out of all major Heroes of Indian Mythology like Arjuna, Indra, Mitra etc. at some point to destroy their ego. In contemporary Hindu religion, Shiva is one of the most revered gods. But he is also the most feared. There are many versions of this story. However in all of them, there are certain common observations. Brahma was a conformist, brahmanical god. 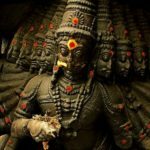 A critical study of his character would reveal his prejudice and unfair bias towards Rakshas, Gandharva, Vasu, non-human races and lower forms of creation. Brahma is not immortal. He sprang out of Vishnu’s navel and was entrusted the responsibility of creating mankind. Shiva on the other hand is something different and beyond Brahma. As the omnipresent present manforce of the cosmos, Shiva adored all forms of creation without any bias and prejudice. There are no sacrifices allowed in Shiva temples. Even breaking coconuts (which is symbolic of human sacrifice) is forbidden, despite sacrifice being an essential element of Vedic/brahmanical culture. Shiva’s boons to rakshasas were the root cause of all major disturbances and invasion on paradise (Swarga). Brahma’s four heads were representative of four dimensions of his thinking. One of it looked down upon of Shiva, and was purist and Devkula (Aryan stock convieniently!) supremacist. Brahma had some grudge against Shiva, for he had slayed one of Brahma’s biological sons Daksha (who also happened to be Shiva’s father in law!!). Still in his Shankara (cool) form, Shiva had requested Brahma on various occasions to be more kind and inclusive, but that was all in vain. Finally succumbing to his anger, Shiva assumed the dreaded form of Bhairava and chopped off the Brahma’s fourth head that represented his egoist side. 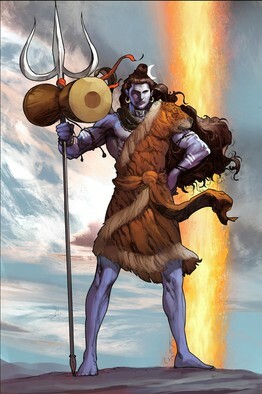 Shiva is representative of the egalitarian and all-inclusive spirit of Hinduism. 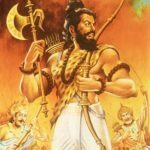 He was on the verge of supporting Ravana against Ram, if not for Ravana’s towering ego. Though the list of his victims includes the who’s who of Indian mythology (He didn’t spare even his own son Ganesh! ), Shiva is considered the easiest god to be pleased. Image credits to the original post. Everything has some meaning. U don’t believe in God. May be thats the reason u r using such words. 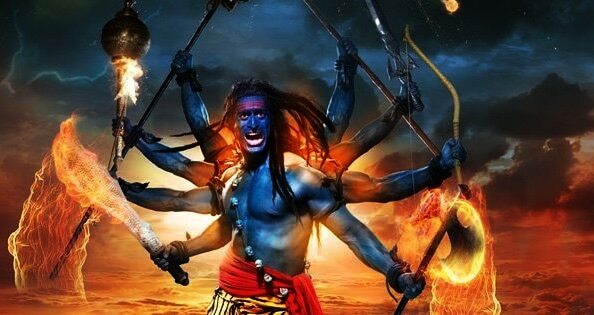 It shows u don’t have a piece of mind to understand the reasons behind what is said about Shiv. There was reason for everything which are just. Go and find first. Then come to some conclusion. First time visited ur website. Absolutely disappointing and disgusting. “3. Moon : Shiv is Trikal-Darshi, mater of time.” What do you mean by “MATER” OF TIME? Thanks for pointing out the mistake. It was “the master of time”. Trikal darshi means one who can see through the past, present, and the future at the same time. So he is the master of time. “Trikal darshi” (Tri-three, Kal-tense (literal Meaning) or Time, Darshi – person who can see) means one who can see through the past, present, and the future at the same time. So he is the master of time.